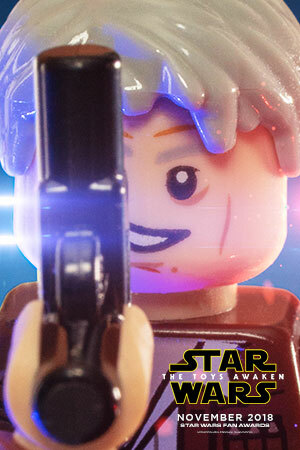 WELCOME to the home of the award-winning fan film series Star Wars Toy Stories produced by PixelPlex, LLC. 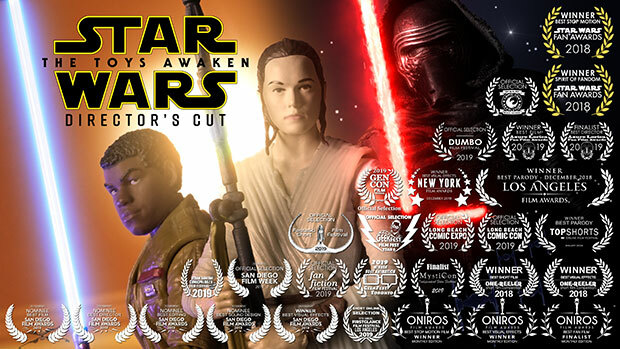 Our third film, Star Wars: The Toys Awaken, has won the awards for BEST STOP MOTION and SPIRIT OF FANDOM in the 2018 Star Wars Fan Awards. 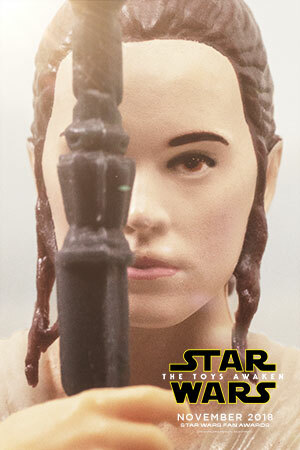 Winners were announced by Lucasfilm on December 12th on The Star Wars Show. Our first film, Star Wars: A Toy Story (2015), was a finalist and nominated for Best Visual Effects at Lucasfilm's 2015 Star Wars Fan Film Awards. 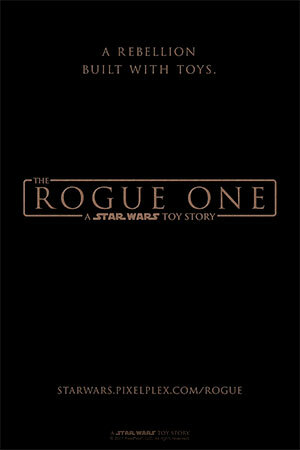 Our second film, The Rogue One: A Star Wars Toy Story (2016), was produced for Lucasfilm's #GoRogue contest. 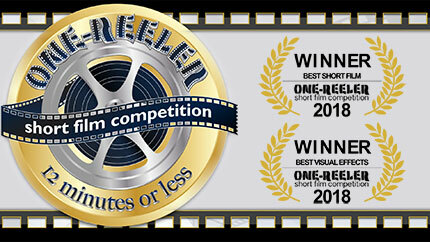 The two films have garnered 12 awards from 50 film festivals across the US and overseas. We are in pre-production with our next big project, Shadows of the Empire. Follow us on social media for all the latest news. Writer / Director / Producer Raymond Montemayor was interviewed on The Star Wars Show LIVE! at Star Wars Celebration Chicago 2019 about his award-winning fan film Star Wars: The Toys Awaken and the fan film screening event he organized during Celebration. We're proud to announce that Star Wars: The Toys Awaken is the winner of the BEST STOP MOTION and SPIRIT OF FANDOM awards in the Long Video category of the 2018 Star Wars Fan Awards, which were presented by Lucasfilm on December 12, 2018 on The Star Wars Show. On this episode of the The Star Wars Show, Andi and Anthony present awards to the winners of the 2018 Star Wars Fan Awards. Our awards for BEST STOP MOTION and SPIRIT OF FANDOM are presented under the Best Animation category at the 3:00 mark. We also produced some stop-motion animation which appear in the Acceptance Speeches segment at the 6:56 mark. Raymond, Maliya, and Nora Montemayor also appear briefly at the end of that segment at the top center of the video at the 7:27 mark. It was another fantastic episode, which we were proud to be a part of. 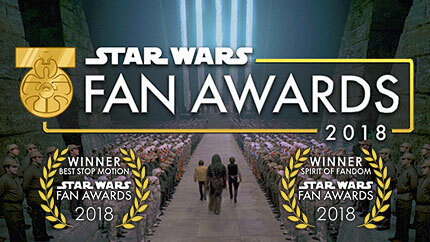 Lucasfilm requested winners for the Star Wars Fan Awards to each submit a short acceptance video for possible inclusion in the Star Wars Show – Star Wars Fan Awards Special episode. The folks at the Star Wars Show ended up using several clips from our video, but we would like to share the entire two-minute video because there are so many people that we would like to thank for helping us make Star Wars: The Toys Awaken. 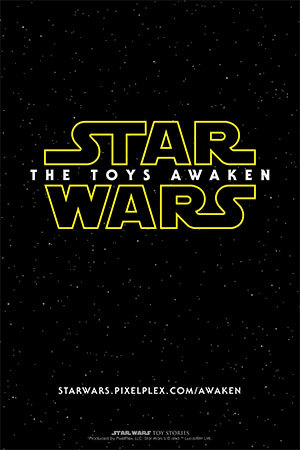 The Star Wars Toy Stories series continues with Star Wars: The Toys Awaken. 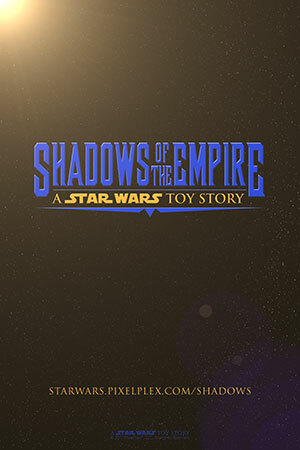 This story is set between our first two fan films, Star Wars: A Toy Story and The Rogue One: A Star Wars Toy Story, on the opening day of Star Wars: The Force Awakens, December 17th, 2015. It has just been submitted to the 2018 Star Wars Fan Awards. Check out this deleted scene from the film, and follow us on social media. Come back after 12:00 noon on Friday, November 2nd to find out if our film has been selected as a finalist for the Audience Choice Award. 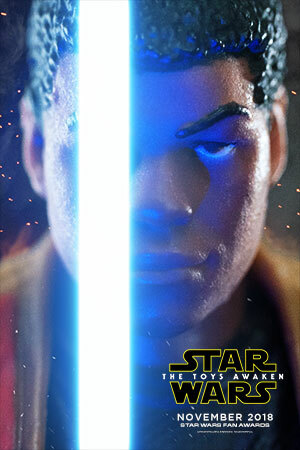 Special thanks to Paul Shipper for allowing us to use his Star Wars character art in our film. 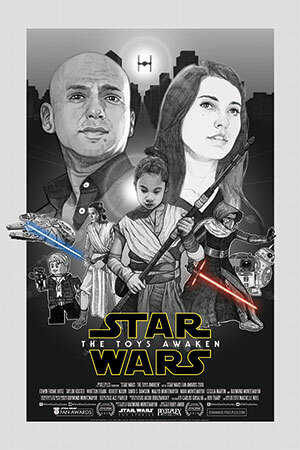 We're proud to announce that the Director's Cut of Star Wars: The Toys Awaken will screen in our hometown of San Diego as an Official Selection of San Diego Film Week. Watch it on April 19th, 2019 at the Museum of Photographic Arts. Read the "RULES" and "FAQ". VOTE DAILY: Watch our film until the "Vote" option pops up so that you can cast your vote. 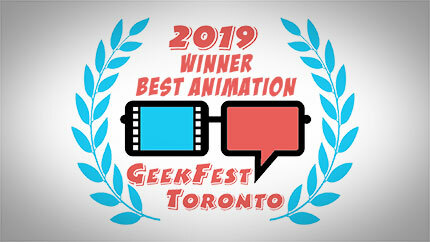 Star Wars: The Toys Awaken won the award for BEST ANIMATION at GeekFest Toronto on February 14th, 2019 at Chez BonBon in Toronto, Ontario, Canada. GeekFest Toronto is a unique "1-day festival of films, docs and talks on everything nerdy, science-y and geeky." Thanks, GeekFest, for the honor! 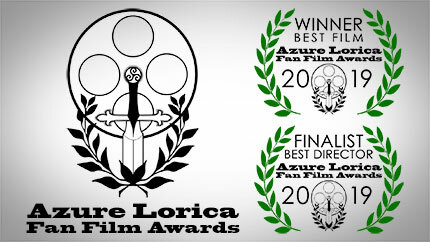 Star Wars: The Toys Awaken won the award for BEST FILM at the Azure Lorica Fan Film Awards on February 2nd, 2019 at the Pasadena Central Library. 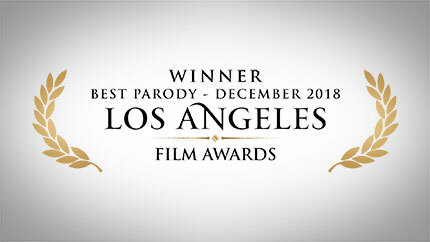 We were also a finalist for BEST DIRECTOR. There were so many excellent films this year, so we were surprised to win. Thanks to Azure Lorica for the award. We're truly honored. 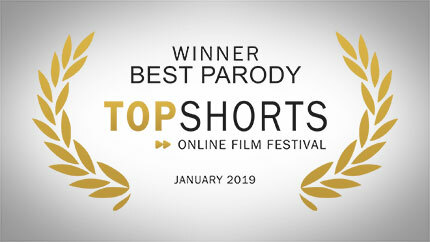 Star Wars: The Toys Awaken won the award for BEST PARODY at the Top Shorts Online Film Festival for their January 2019 edition. Thanks, Top Shorts! Star Wars: The Toys Awaken won the awards for BEST SHORT FILM and BEST VISUAL EFFECTS at the One-Reeler Short Film Competition 2018. Thanks, One-Reeler! "What a fun parody! Very creative and a nice tribute to The Force Awakens. George Lucas would be proud!" 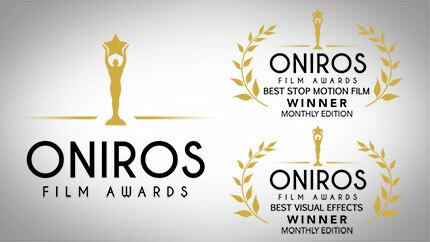 Star Wars: The Toys Awaken won the awards for BEST STOP MOTION and BEST VISUAL EFFECTS at the Oniros Film Awards for their December 2018. Thanks, Oniros! 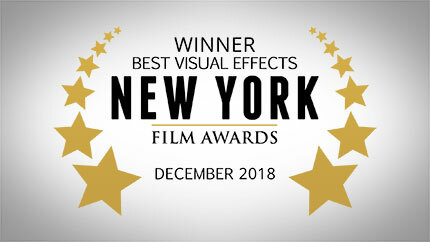 Star Wars: The Toys Awaken won the award for BEST VISUAL EFFECTS at the New York Film Awards for their December 2018. Thanks, NYFA! 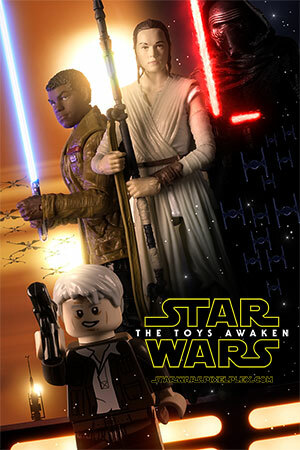 Star Wars: The Toys Awaken won the award for BEST VISUAL EFFECTS at the Los Angeles Film Awards for their December 2018. Thanks, LAFA! 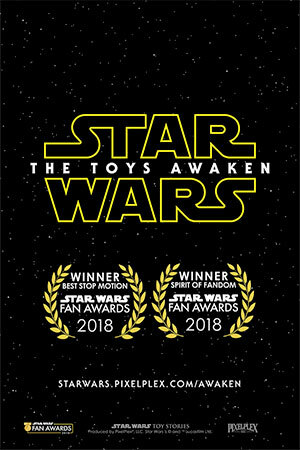 Star Wars: The Toys Awaken won the awards for BEST STOP MOTION and SPIRIT OF FANDOM at the Star Wars Fan Awards 2018. This is what we've been working for for the last four years. 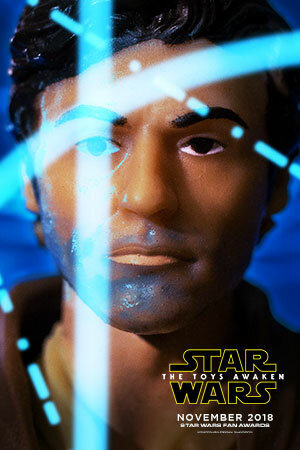 Thanks to Lucasfilm and the whole Star Wars Toy Stories team! 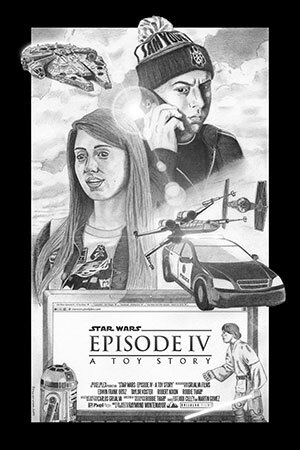 SUMMARY: A Star Wars fanatic decides to sell his toy collection to keep his overbearing girlfriend happy and salvage their relationship. An unbelievable adventure with his toys makes him realize that he doesn't need to change for anyone. MUSIC: "Main Title/Rebel Block Runner" by John Williams from the motion picture soundtrack Star Wars: Episode IV – A New Hope. Used with permission. The music was edited for this trailer. SUMMARY: Craving the attention of her busy father, a 7-year-old Star Wars fan disobeys him and starts a rebellion with his Star Wars toy collection that would have surprising consequences. #GoRogue: This film was produced for Lucasfilm's #GoRogue #Contest 2016. 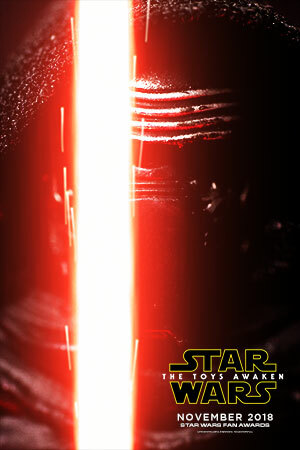 The music used in this film was provided by Lucasfilm for the #GoRogue contest. This is our simple tribute to the man behind R2-D2, Kenny Baker. It's no surprise R2-D2 plays a big role in our fan film, Star Wars: A Toy Story. Mr. Baker created a loveable character with a lot of heart. He will be missed. SUMMARY: The Star Wars Toy Story Trilogy continues with Star Wars: Episode V – The Toy Story Strikes Back. MUSIC: "The Imperial March (Darth Vader's Theme)" by John Williams from the motion picture soundtrack Star Wars: Episode V – The Empire Strikes Back. Used with permission. The music was edited for this trailer. © Copyright 2015 - 2018 PixelPlex, LLC. All rights reserved.